Pubs have been closing at the rate of 27 a week – nearly four every day – over the past year as the savage impact of the smoking ban and spiralling costs combined to decimate the very heart of British life. Many communities will now be left without a pub unless the Government acts now – starting with a duty freeze on beer – the British Beer and Pub Association (BBPA) has warned. The stark figures from the BBPA reveal the pub closure rate is seven times faster than in 2006 and 14 times faster than in 2005. In total, 1,409 pubs closed in 2007 – a sharp acceleration when compared to 216 closures in 2006 and 102 in 2005. “Britain’s pubs are grappling with spiralling costs, sinking sales, fragile consumer confidence and the impact of the smoking ban,” said BBPA chief executive Rob Hayward. “These figures show the stark reality of the pub trade today, in contrast to the hype surrounding the myth of ‘24-hour drinking’ and extended pub opening hours. Urban pubs – many wet-led and landlocked – have been hit the hardest with 2% of all urban pubs closing in the last six months. Beer sales have slumped to their lowest level since the Great Depression of the 1930s with 14m fewer pints being sold today than in 1979. Total alcohol sales in pubs have plummeted by around 6% in the last 12 months and even a surge in food sales has not relieved the pressure as the additional associated costs of selling food have squeezed profit margins. “Some commentators would have us believe that the pub trade has faced a bonanza following the introduction of the Licensing Act in 2005,” said Hayward. “Nothing could be further from the truth. The industry is facing very difficult trading conditions, which is resulting in the closure of hundred of pubs across the country. “This is no time to place further regulatory or tax pressures on a great national and community asset. “A vital part of the British economy and social life is under the most severe strain it has faced for decades. "One key factor is conspicuous by the very nature of its absence from the BBPA’s explanation of the record number of closures – the pubcos. If the body which represents this sector is admitting the smoking ban and rising costs are taking a huge toll on the industry then so must the individual pubcos. Let us hope this is a wake-up call to Westminster to freeze duty on beer, to increase rate relief for pubs and to lay off yet more layers of red tape. But Government is a slow moving machine and the tide seems to be fast hurtling in the opposite direction with yet more tough new proposals to curb binge drinking put forward in the Licesning Act review just yesterday. Alcohol disorder zones are also on the way and certain police forces seem hell-bent on a polluter pays scheme and blanket glass ban. The budget is on 12 March and it would be great to think the Government would heed this wake-up call and freeze duty on beer. But when one side is arguing for a 10% hike and the other a freeze – is the best we can hope for a small increase? When newspapers and TV documentaries are full of tales of binge drinking and underage drinking, it would be a brave Government that does not at least opt for the standard 1p on a pint duty rise. So, instead we must help ourselves as an industry if the immediate future of the pub is to be saved. The smoking ban, spiralling costs, poor summer weather, floods and the consumer slowdown are all factors that a tenant or lessee can not control. Greene King, often praised in these pages for its tenant support structures, made a move in the right direction last week by announcing it would absorb a 20% hike in insurance premiums and delay a beer price rise until May. Struggling tenants and lessees are crying out for rent concessions and reviews which take into account the true nature of the changing trading environment. Goldman Sachs estimates the average tenant's profits are down 10% since the smoke ban and yet that same average tenant will be hit with a 2.5% RPI rent increase every year. Where are they supposed to find that money? Interest among MPs in the pubco-tenant relationship is rising once more and Lib Dem MP Tim Farron has already tabled an EDM calling for "the Government to prevent the exploitation of pub landlords and to help save the great British pub”. If we wait for Government to act to save our pubs, it may be too late. Action, in the form of greater tenant support, is required now." Ewan has started what will be a long one here. 1. As we are all aware, Mr. Darling has already made his intentions known as far as the budget goes. 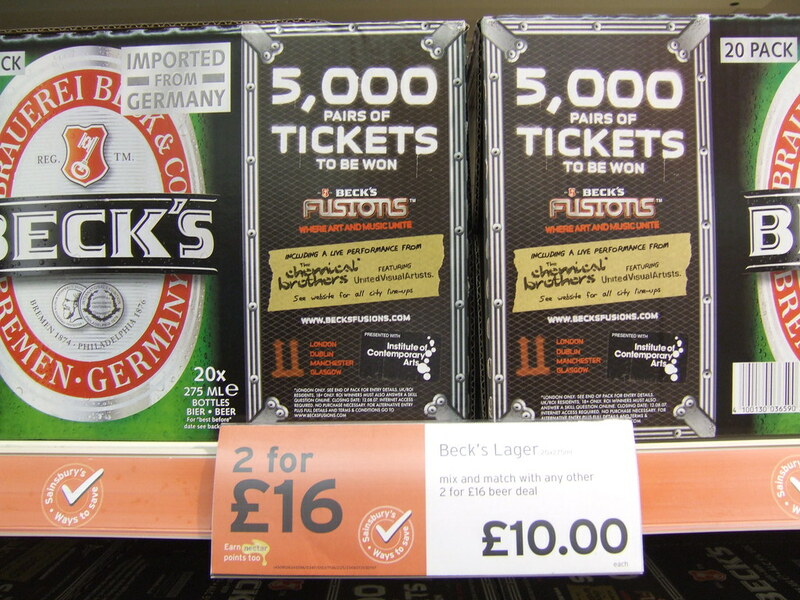 Look for 10% on beer and lager, £1.00 on a bottle of wine, and £2.50 for a bottle of alcohol. Heaven knows, we all hope that clearer thoughts will prevail, but don't really expect it. Regardless of BBPA hype, more like wishful thinking. 2. The quoted figure of 7 times higher is a fanciful figure. Look for the period over the next 9 months to make this figure worse. For every closing pub, there are 3 or 4 facing dire financial conditions right now. While we cannot lay all of this on the smoking ban, the 1-2 punch of sharp rises in utility costs coupled with the downturn in beer sales due to both changes in the drinking patterns of our customers and the effect of the smoking ban cannot be minimized. I get a chuckle when I read every one on these pages talk about their gross profit from selling a product. GP means nothing as a result of the massive changes taking place in this industry. To effectively realise profit in a pub, the day of simply saying you need to make x% profit on the products you sell is past. You now have to micro-manage every product sold to the point that you have a realistic figure of how many lagers, beers, wines, and spirits you will sell. Tied tenants are especially having to figure how much money they need to take in above the beer price in order to cover their expenses. In other words, if you are going to sell 2000 pints of lager in a month, you need to figure out how much you must have out of those pints in order to make a profit, or at least break even. It is the same across the board with your other products. If you have been in business for several years, you will have a pretty good understanding of how many of a particular product you sell. If you do not collect this data, you will find that your pubco and Brulines will be more than happy to share the information with you, because even if you have a problem with either of them, they will gladly share the info with you. Pubcos, by their very nature, have to paint a different picture and will remain silent with regard to what is happening within their estates. Shareholder pressure and confidence will always come first, it is similar to an employee working twice as hard when you are around compared to when you are not. For the pubcos to openly admit that they were not cognizant of what these pressures of increasing costs, diminishing sales, and being asleep throughout the smoking ban, they must keep the pr moving in a positive direction. The fact is that the bulk of the pubco tenants (over 90% of the ones I have talked to) are in a very precarious position with regard to their finances. Most publicans can overcome any single severe problem, but have recently been faced with multiple problems, as outlined in this article. I agree with the bulk of the posters on this forum that the so-called industry experts have done nothing to unify this industry into letting the government be aware of the serious problems we face, and the pubcos have turned a blind eye to it as they still have fresh tenants waiting in the wings hoping to live the dream of owning and operating their own profitable business. The pubs are an easy target as the operators in this industry will not seemingly join together on a single issue. And that is where the pubcos have let their tenants down, because as "partners" (the term customers which has recently been publicised really leaves a bad taste in my mouth) the lessee or tenant has had no imput into planning with the pubcos regarding regulation which will effect the industry. The recent releases from government using the football mentality really means very little to the pub trade, other than reading the recent article whereby kids are purchasing cigarettes from machines. Yet I am not sure that a vending machine selling cigarettes (either through using money or tokens as has been covered here) is an offence to take away the premises license of a pub. I do not think the Licensing Act 2003 inferred this as it is a license policy dealling with the regulated sale of alcohol and the effect of selling same. This two strikes and you are out mentality will do nothing to solve the problems our society faces today. Earlier on Tuesday, I read an article in a local magazine which stated that from 1995 when 126,000 people were arrested on drunk and disorderly charges, the figure had actually dropped to 27,000 such arrests in 2005, a drop of 99,000 such arrests in a 10 year period. Is it because of the police have quit trying or is it because the public has changed? I cannot tell you, and I doubt the government can tell you, because statistics such as this do not help the government in their crusades. And I promise you, the crusade is well under way to not change us into a cafe culture, but to eliminate the staple of British society, the pub. There is a concentrated effort by the supermarkets (hence their doublespeak last week regarding responsible promotion of alcohol sales) to eliminate the community led pub which has been further evidenced by their new Easter promotions. By throwing the gauntlet to the government, which we all know will not do anything with regard to the current situation, they are now free to pursue their goals and the recent advertisements lay bare what they are doing by further lowering prices. Yet nobody in HMG in a position of power seems to be able to respond to this. As a result, we will see a further decline in custom as these prices will further decimate our business in the coming weeks and months, because once they implement these marketing plans, it seems as though it only spreads further as they constantly are trying to outdo one another. And the pub industry is the one selling responsible drinks in a controlled environment while the old mantra for them is that once the product is off the premises, they are not responsible for what happens with it. I agree with them to a point but believe (as most of you do) that the public drinking on roadsides, in parks, and city centres is the end reslt of their sales promotions. But as the pubs are totally un-united, it will once again be laid at our feet. The media is all too apt to sensationalise the plight of binge drinking, whereas it is a minor problem compared to several decades ago because it sells newspapers or makes the public watch TV in horror at what they see. In fact the numbers of people drinking to excess has dwindled in recent years, just as the man in the street as they say, the publican. So now we will see direct and indirect taxes increase on our products. And all we are doing is penalising the majority of the population that does not have a problem with alcohol. All the while ignoring the real problems and issues. But as we grumble and commiserate with each other about the increases in operating costs, no one seems to be capable of mounting an effort to do anything about it. It would be interesting for the MA to put together an advisory panel of pub operators to try to give the pubcos and government an insight into the business that they obviously do not understand, or choose to ignore. As someone who has just been forced out of a pub by one of the great pubcos I have to back Ewan view that the Pubco needs to take further responsibility. My trade had dropped by more than 30% and falling , this was flagged to my Pubco BRM who went offf to discuss this situation at head office. In the meantime head office decided to start proceedings to reclaim possession of the pub intheir typically high handed way. Alas they completely ignored the fact that I wanted to get out and went ahead with the possession order forgetting that the lease comes to an end when court papers are served. I suspect that was not supposed to happen. Court soon. The point is that since then it has been almost impossible to discuss the situation with the Pubco heirarchy. My BRM will not reply to email or answer his mobile. His boss will respond but then has to ask for info and even he struggles for a reply. The Chief executive makes no comment from his lofty heights but in fairness, when I called his PA direct begging for some communication she did get a Regional Director to call me immeadiatly. Eventually the solicitors for the Pubco responded to our solicitor after threats regarding Law Society guidelines and it turns out that my pubco would not even respond to them. All this mark you in the light of Pubco Customer Service Directors saying they are in this with us, it's a partnership, we will work together. The charter accredited by the BII is a farce. I have tried the complaints procedeure still awaiting a response.Why is it that the only two Corporate bodies accredited by the BII were the only two bodies represented on the Steering committee? Murray. Sorry to hear of your experience. Please get in touch if you have any energy or spirit left: mark@sunanddoves.co.uk and exchange 'phone numbers. It would be good to talk. This article does not surprise me at all, a lot of this has been caused by HMG's policys and new laws, they are not prepared to listen, they really dont care..
i'm not surprised at the rate pubs are closing,deep down in our hearts we all know the fault really lies with the breweries and pub co's who are still trying to extract ridiculously unreasonable rents from tenants and prospective tenants who dont know any better be they lease or otherwise. From 1st hand experience i can quote you many examples,this is just one,the brewery obviously will not be named but it does support St Georges day.This particular pub was sorry is [at the moment] in a village with 5 other drinking establishments which are all struggling but this on more so.I can guarantee you that it was only taking £600 a week on a good one, the brewery were/are looking for a new tenant/lessee, The brewery wants approx £25000 ingoing and £700 a week rent ? work that out.The barrelage figures have gone from 179 [beer] 3 years ago to 47 last year they say this is proof that it was busy pub ! the operative word there is WAS. I have seen so many sad,sorry pubs that have well and truly had their day over the last couple of years due to mis management,lack of support and poor placement by the brewery/pub co. sadly enough as long as there is still some poor misguided, ill informed,inexperienced person wandering around with rose coloured spectacles on and 40k in their pocket the breweries and pub co's will keep sticking them in pubs because they know in 6 months time they will do it again. "Pubs have been closing at the rate of 27 a week – nearly four every day – over the past year as the savage impact of the smoking ban and spiralling costs combined to decimate the very heart of British life.... In total, 1,409 pubs closed in 2007 – a sharp acceleration when compared to 216 closures in 2006 and 102 in 2005." Relax. I'm sure Albert Crumb and Jon Singleton can explain why this is not actually a problem. And obviously it has nothing to do with the activities of the antismoking lobby which just coincidentally happened to coinicide with this unfortunate and totally inexplicable tendency of the public to eschew their former practice of enjoying their lives in company with each other at their neighborhood pubs. And of course, even if the smoking ban DID relate in some obscure way to these pub closures, we all know in the depth of our hearts that the public and workers are happier and healthier sitting at home alone than they would be sitting around stinky old smoke-filled pubs having to listen to the oft-treasonous blatherings of drunkards. Heil H...... er... I mean, Hail to the Health Ministry or whatever it is. Sad to say... we've got the same over here in America. But at least we've got the excuse that we weren't warned. Put how many swanky city centre bars are opening each week? All managed house to help keep the costs down. It's also not surprising that people in certain areas are not going to the pub as often, with food costs up, utility bills up, beer up. 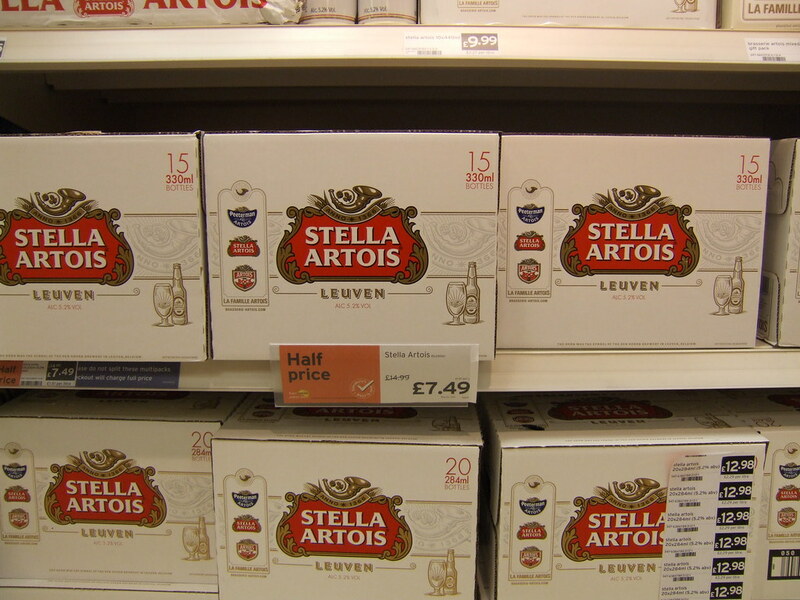 And supermarkets are chucking out criminally cheap beer. What hope is there when the Health Secretary, Alan Johnson, declares the smokeban is a raging success and he is 'unaware' of pub closures because of it? They don't want to see the carnage they've caused so declare all is booming. We at f2c.info forecast the carnage and it is time for the publicans themselves to join with us to take this gov't on and give publicans the freedom2choose-smoiking or non smoking. More pubs will close for certain unless an amendment to this ban is forthcoming. Sit back and relax at your peril-'clean air' means empty pubs, means low turnover, means no profits, means pub shuts, means unemployment. The pubco's have the land to sell for re-development, they can't lose! At one stage when a pub closed the neighbouring pubs benefitted from the closed pubs trade moving over to them. This doesn't happen any more to create a difference to the trade of the neighbouring pubs because the bulk of smaller pubs are fire fighting to survive. The bottom five to ten percent of pubs used to be marginal, the sort that I would buy as freehouses and turn round with a serious chance of success. Today the bulk are leased and even if they were freehouses I would be pushed to consider any in the bottom thirty percent because of the change in business, legislation etc. Yet I meet a constant stream of new licensees with outrageous rents, full of hope and limited funds expecting to make a silk purse out of a sows ear in pubs that I wouldn't touch with a bargepole as a freehouse. 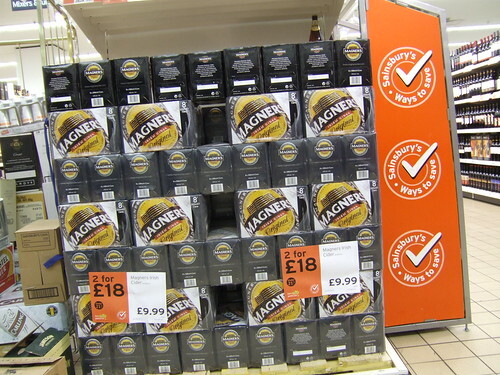 In my opinion with the trading conditions imposed by the Pub Co's the marginal level has gone up to sixty percent. We write on this forum regularly about the problems in the industry, sadly we are and a few others the only ones that read it. The majority of trade papers and organisations are terrified of critising a number of major Pub Co's yet their readers and members who are their main source of incomes problems are being totally ignored because of fear of litigation. There has to be a way of seriously publicising these problems and making Pub Co's take a more practical approach than putting their heads in the sand attitude, these problems are going to get far worse. I have suggested that the BII do a survey of all members pubs, how about the MA doing one, a second opinion would not go amiss if the BII do eventually do one. If our theoretical statistica are correct then a lot of companies hopefully will take note and address the situation. I would be delighted to draft out the questions for the MA. I realy cant see the point of talking on here. the facts are if the publicans all got together at the start of this smoking ban back in 2005 we would not be in this possition now, they cant jail all of us and they havent got the man power to get around to all the pubs. so stop bloody wingin and going on about something you had the chance to stop.!! if you are with a pub co, all get together and stop paying your rent, all of you as a body WILL win, they wont throw you all out. after 31 years in this trade I've lernt alot, you have to fight to make a living, acting like a spineless coward will get you no where. just for once, stand up and be counted, put the ashtrays back out and say sod you, we need to survive. if everybody did this amendments to the ban would be quick. there are only 5 or 6 of us activly fighting this ban, out of 60 thousand pubs thats a joke, so, get off your a*** and help us before you lose your pub. Excellent article by Ewan Turney and excellent response from William McLeod. It's almost refreshing that we're talking so frankly about the savage shifts in this industry but a terrible shame unfortunately that we're all whitewater rafting the changes in our own little dinghies. What we need is a big raft we can all get on which can rise above and get over the rapids to the relative calm of the whirl pool plunge at the end. Getting everyone together to stand on one cause is seemingly impossible - just getting the rallying message across to more than a dozen people out of thousands appears beyond reach.